He is trying to find a seat/cowel and boy is it a pain when the bike extends 21" past the tank and a lot of the ones manufactured are around 30"+ and with an extra inch or so wide on each side. 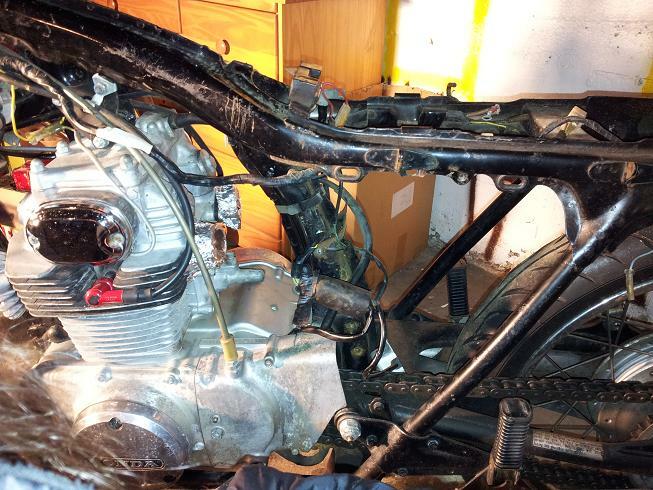 Still working on Jimmys CB350G and have done some tearing down of the battery box area this week. 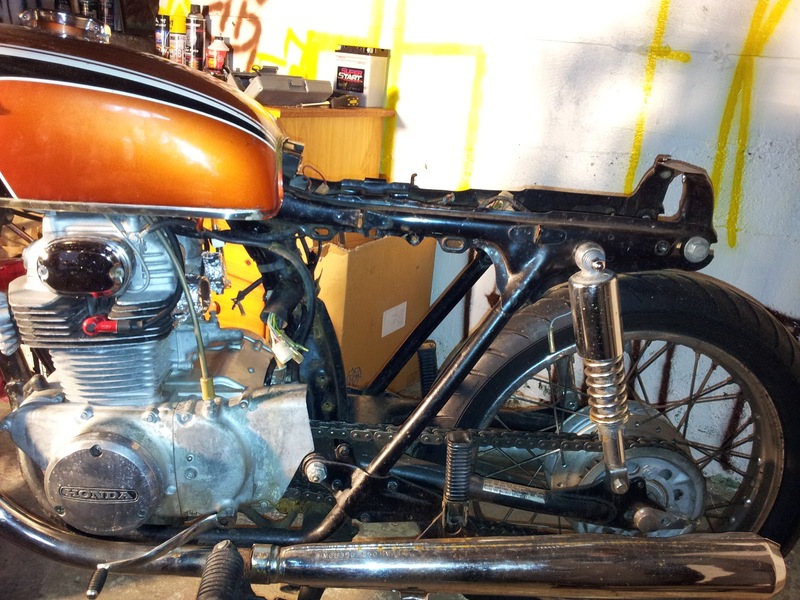 He will be ordering a few parts including the battery eliminator to replace and paint a few parts. So far so good and hopefully the parts start rolling in to assemble the bike back together and if troubles arise, we will have plenty of time before riding weather is in full gear. Not much with this bike this week.